I’ve had a genuinely lovely week, lots of family time, time with friends and a bit of shopping too – which always helps! Last Saturday we had Athenas best friends birthday party at soft play, so the kids pretty much entertained themselves whilst we chatted! After that I headed into Brighton for the evening with a group of friends who I’ve not seen in years, literally years! We spent the evening and night catching up, swapping stories and generally having a bit of a drunken time! We’ve all moved around a bit and it was a nice walk down memory lane, although there were a few noticeable absences as people are living abroad and things! Sadly I had to head home before the trains stopped running, but that did mean I was up bright and early at 6am the next morning to trek round the car boot sale with the kids, complete with trolley for bargains/tired legs! 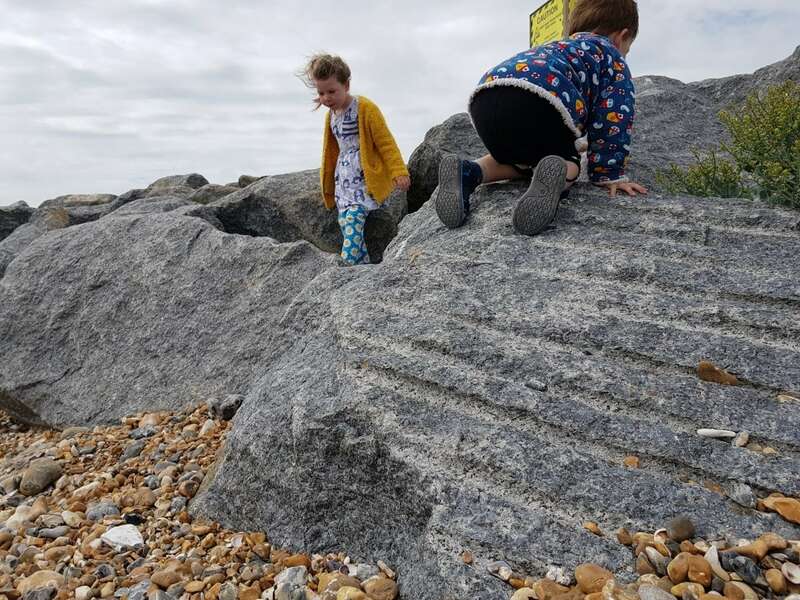 Once we’d got what we went for (a helmet for Arlo and some new books for the kids) we headed up to Petworth House to make the most of our new National Trust memberships (thanks Father in Law – such a lovely present to get!) for a picnic, stroll and a look in the house. The kids were of course a bit of a nightmare in the stately home as it’s just not as interesting for them as it is for us, but the owners had strategically placed little puppies (stuffed ones, not real!) 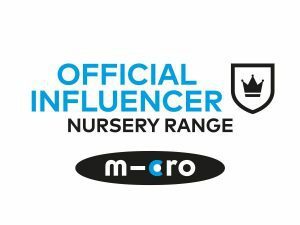 around the house for the kids to try and spot, and then they were rewarded with a sticker – which is like the ultimate prize apparently! Wednesday was Athena’s first ever sports day which was so lovely, all the kids tried so hard and there were no tears or major competition plus no parents race- bonus! Of course when she saw us she started waving and dancing about but she did well in all the activities though she’s definitely not going to be the next Sally Gunnel! 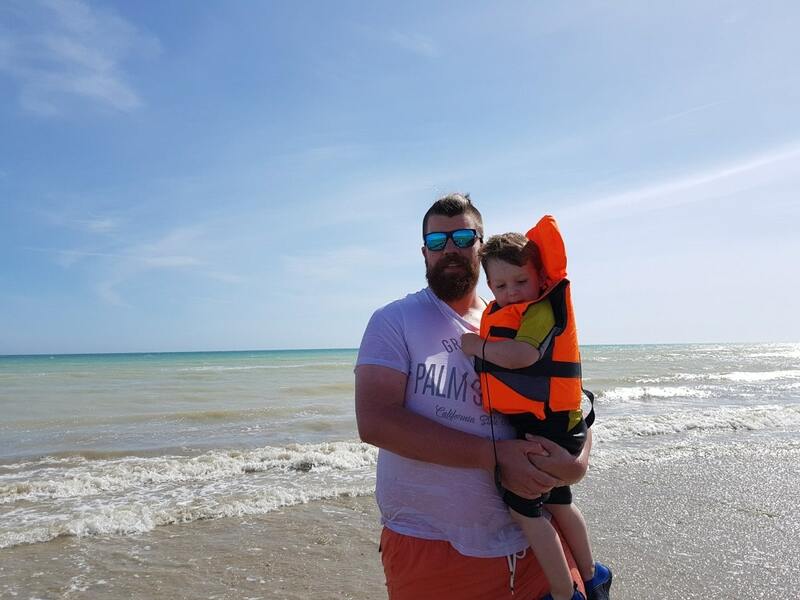 We also had two beach trips, one our friends Sophie and her daughter where the kids basically dug a hole in the beach and got covered in slushy black sand resulting in a bath the moment they got in the door! We went again on Friday after school to try our their new wetsuits and life jackets, which was fun! 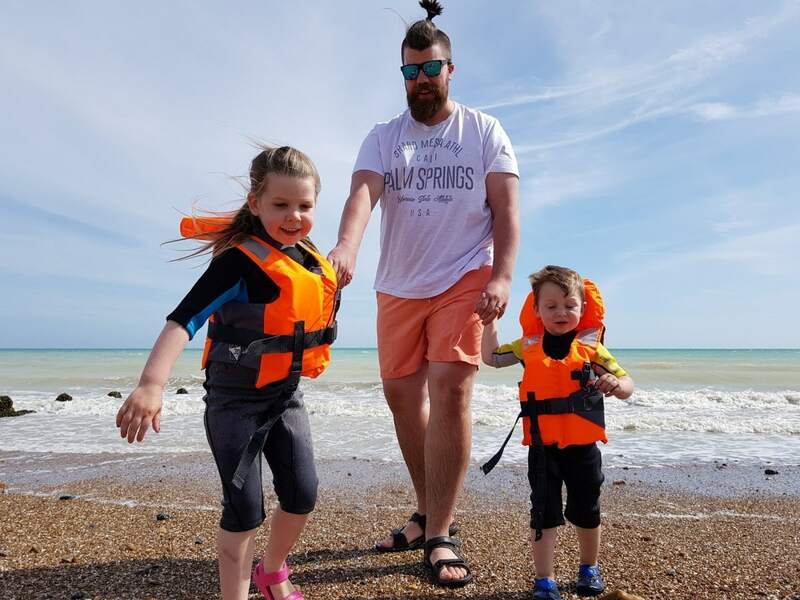 Sam wants to get us all on a sailing boat soon so wants to get them used to wearing the gear and also needs to teach them what to do if they fall in! Then on Saturday I went to London with Lyndsay (aka Fizzy Peaches) to see the play ‘Confidence’ – which was not exactly what I expected, had a clever stage set but I felt it was let down by one particular performer who kept fluffing his lines up, though the other two male actors were great and really got the 90’s look down! Tanya Burr (of YouTube fame) made her stage debut and wasn’t half bad. I thought she could have adjusted her accent to match the ‘bad girl/common’ language of the script a bit but hey ho! After a stroll through a mysteriously quiet London back up to London Bridge we arrived at Vapiano for dinner! We’d been invited for a post-theatre meal at this relatively new Italian restaurant, with three locations in London, and one each in Manchester, Glasgow & Edinburgh, as well as multiple locations across Europe and the rest of the world. They are ideal for friends and groups, with spacious tables allowing for chilled out meals. 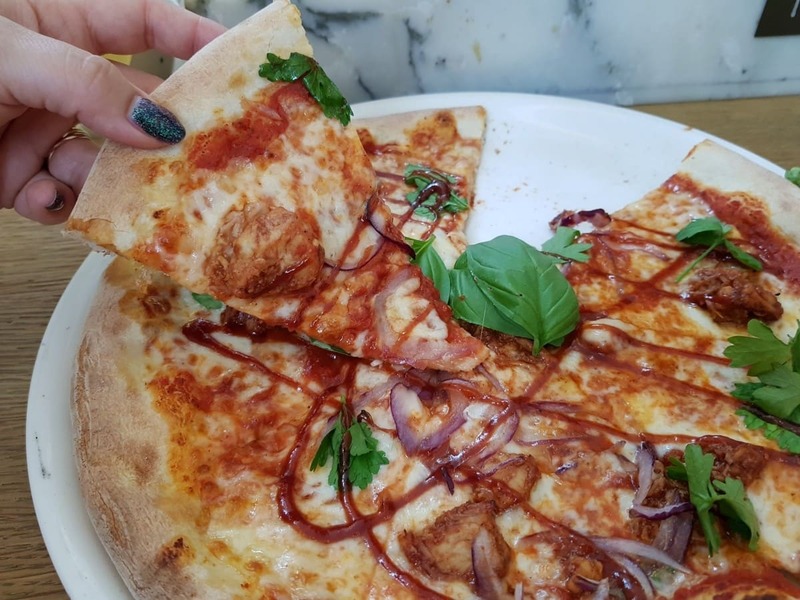 As you arrive you get given a chip card, then once you’ve decided what you want from a selection of pizzas, pastas and risotto you head on up to the open kitchen, ask the chefs for your meal, making sure to personalise it if you wish and watch them cook it in front of you! They add your meal to your card for payment later. The chefs prepare 11 types of past daily, dough is made on site and shaped to order and of course there are salads available too, as well as antipasti & soup! It’s ideal as the wait for food is minimal and being able to have your meal cooked exactly as you like it is amazing. After a bit of deliberation and a few giant olives I chose the Barbecue Chicken pizza which looked fantastic and tasted even better. A thin crust with chunks of chicken, onions, smoked cheese, mozarella & swirls of barbecue sauce. I added a few fresh basil leaves from the selection of herb pots on the table and thoroughly enjoyed it! Lyndsay had a Salmon Carbonara with ribbon pasta and that looked creamy and amazing too! 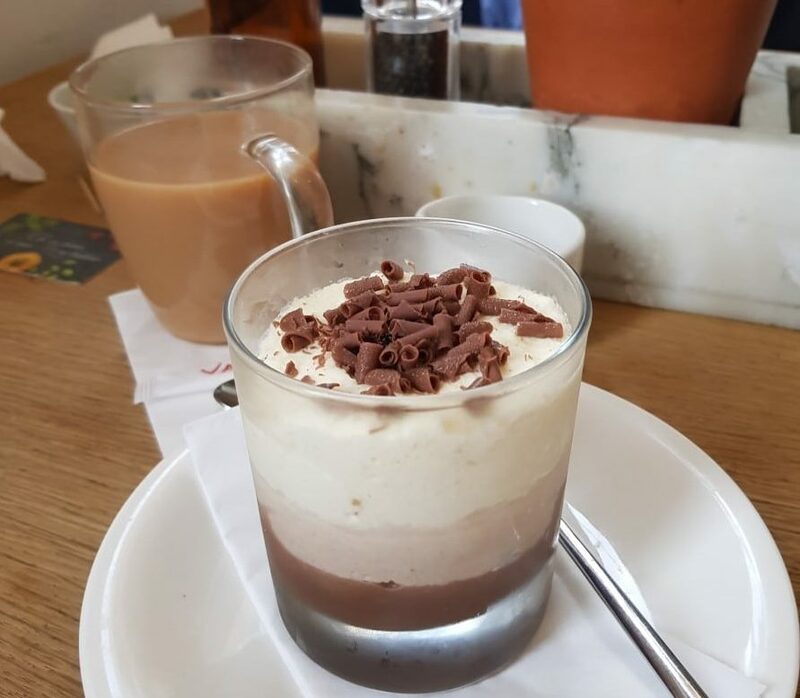 Of course we had room for pudding, and it was a hard choice but eventually the Cioccolate Foresta Nera won, and I was presented with a glass of layered white, milk & dark chocolate with Nutella, with chocolate curls on top. Basically it was layers of heaven! Lyndsay had the Death by Chocolate which was super tasty too, though there were a range of sorbets and ice cream too for people who fancied something a bit lighter. 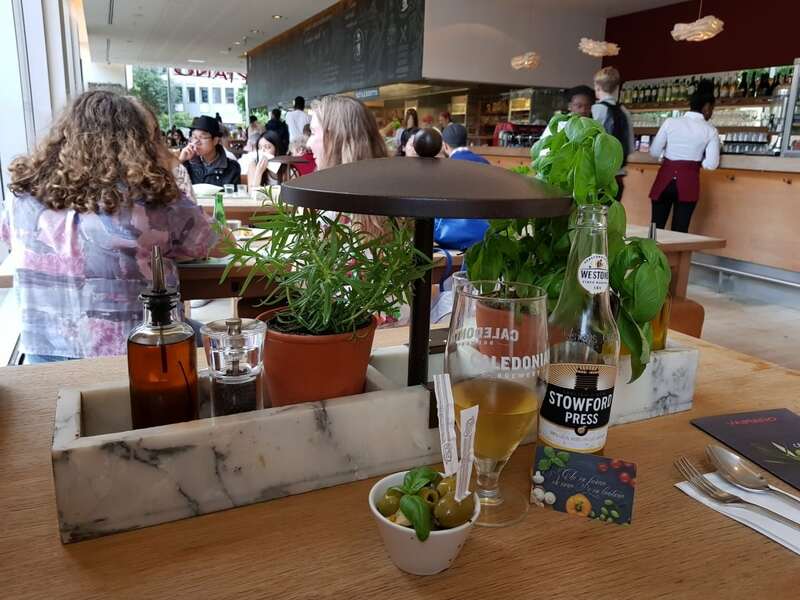 I will definitely be visiting Vapiano again, in fact my friend in the Hague who I am visiting spotted my instagram stories last night and messaged me to say it’s her favourite restaurant there – so I think we’ll be making a visit next month! They also do online orders for delivery too, if you’re lucky enough to live in the vicinity of a branch! 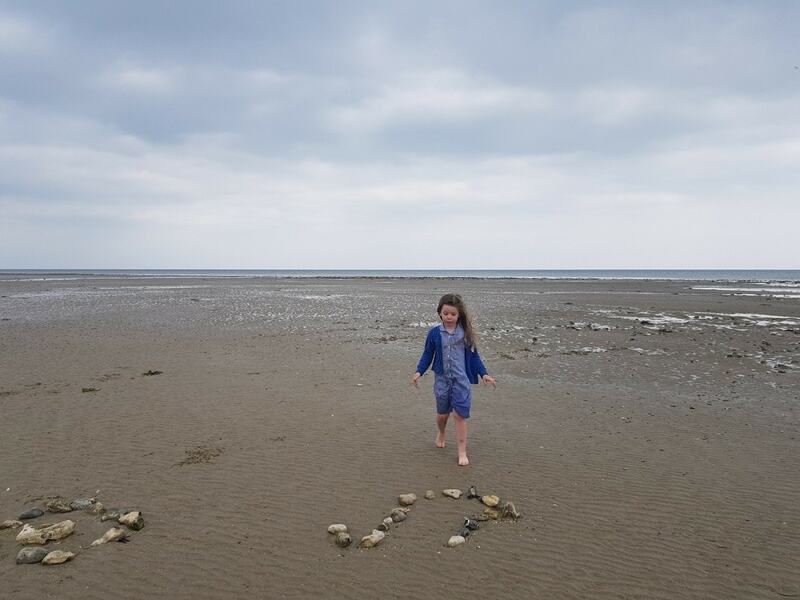 Today is of course Father’s Day, and we had a chilled out afternoon at home watching films after a morning clambering about the beach at the sailing club! Apologies for the super long post but we actually had a pretty chocka-block week once I sat down to write about it! 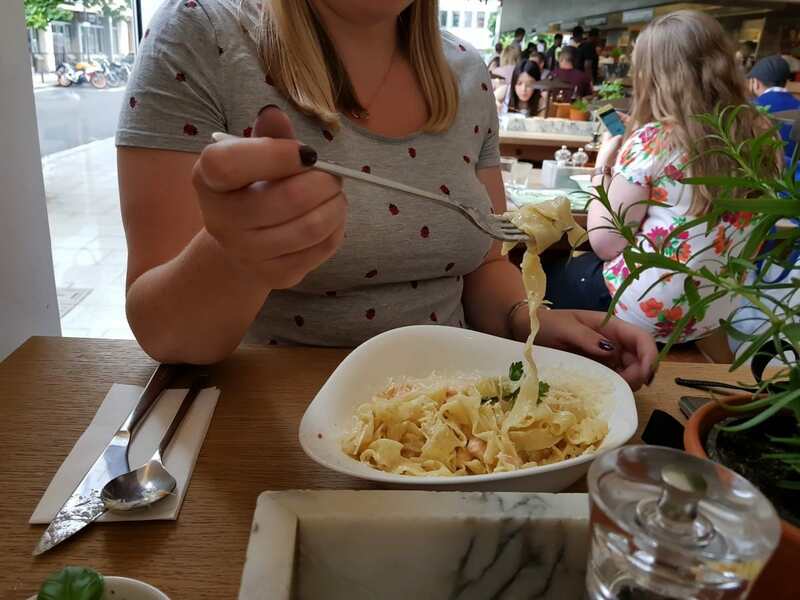 We were invited for a meal at Vapiano in exchange for a review.